Let us show you curious device. 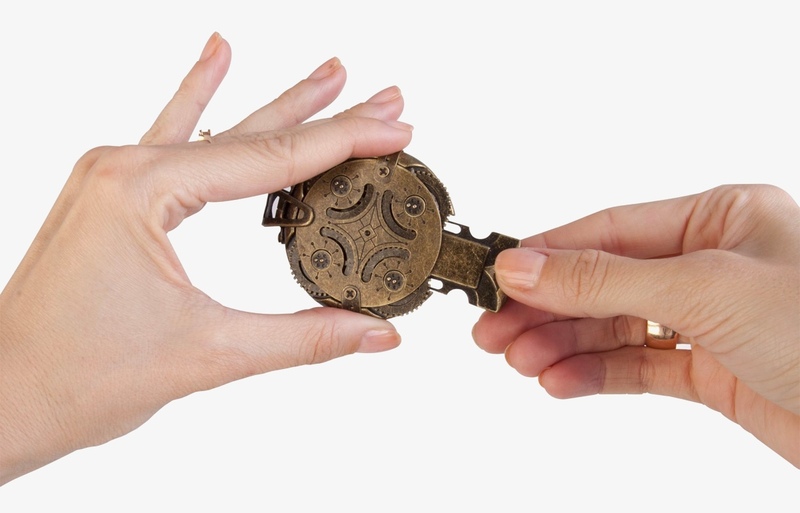 It is beautiful in its design and ingenious in its operation. 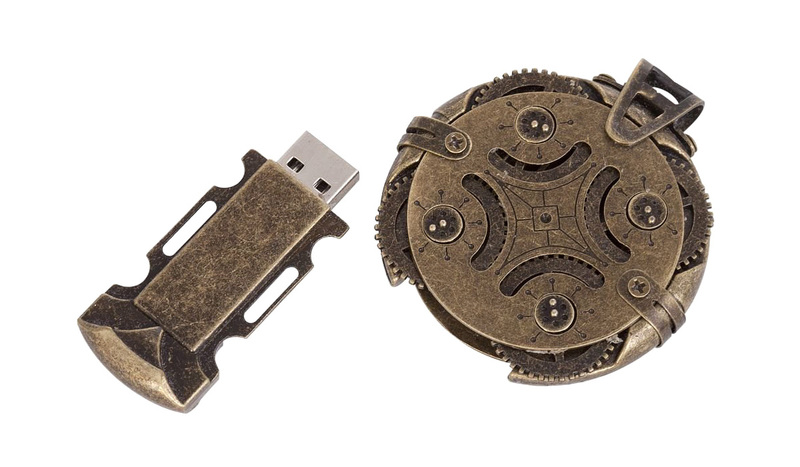 A secret combination of the positions of the four gears releases a concealed USB drive. 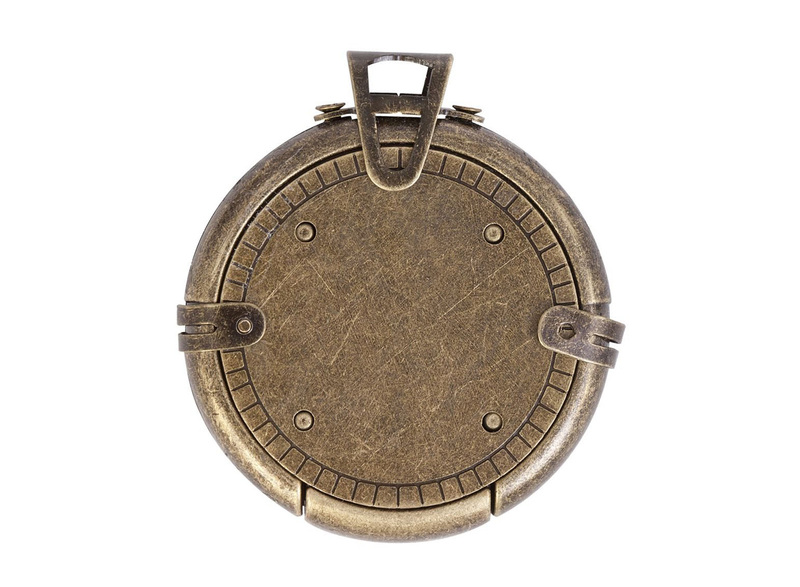 The design is quite steampunk in appearance. 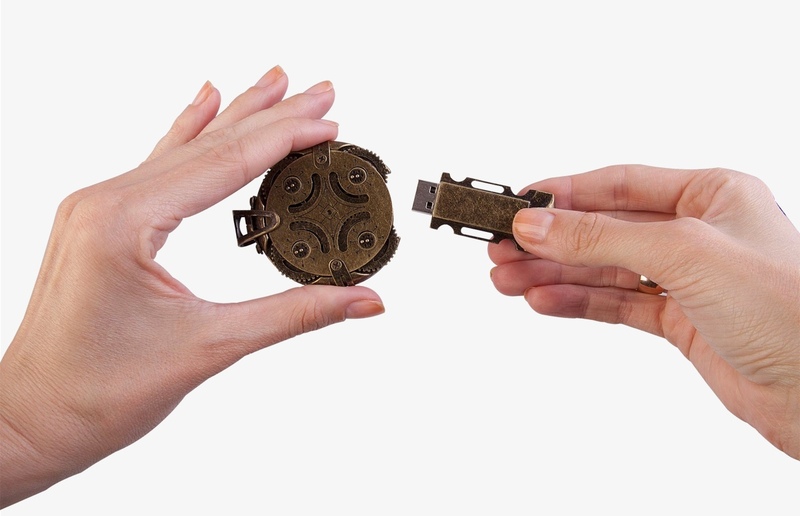 The mechanical combination lock protects your digital data. 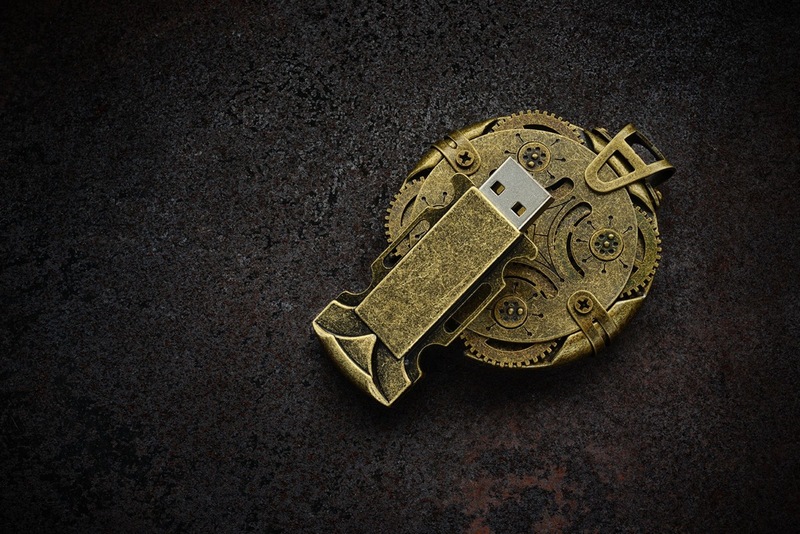 You need to know the position of the 4 dials, before it will let you remove the USB drive to use. Only the one who has the password can use it. 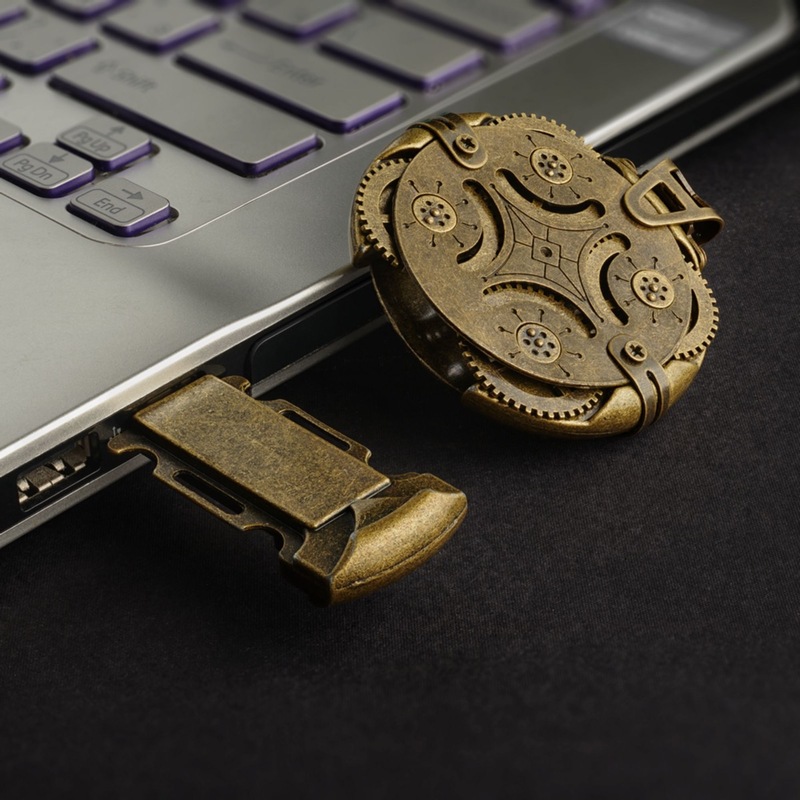 A great way not only to protect the information, but also to add an element of a game into everyday life. You can buy it here. 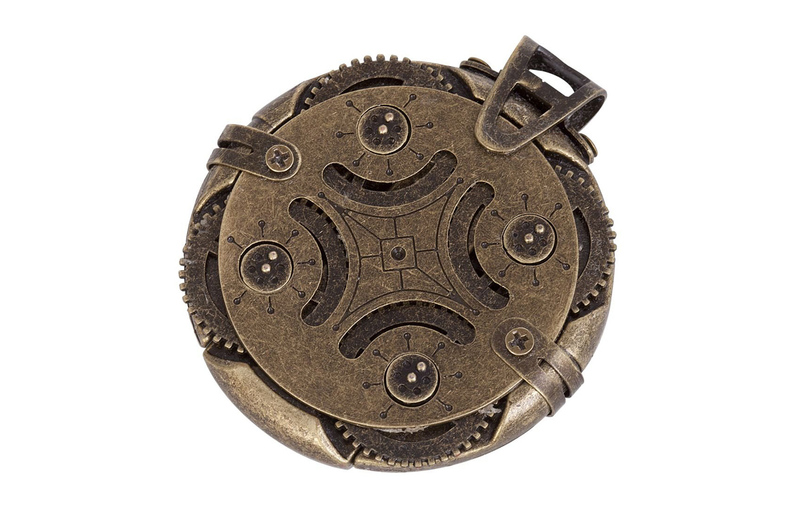 If you’re a fan of steampunk gears you should also check wireless steampunk mouse and steampunk memory keys.